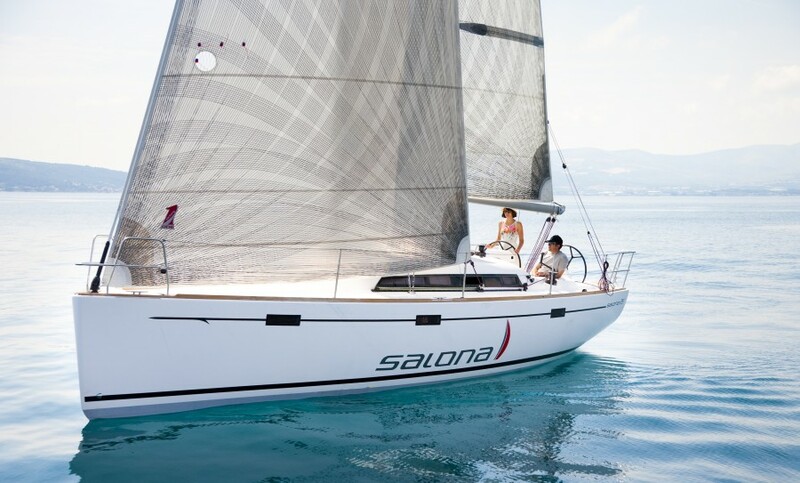 A cruiser - racer in the truest sense, this yacht is designed for sailors whose appetite for performance persists is well beyond the race course. 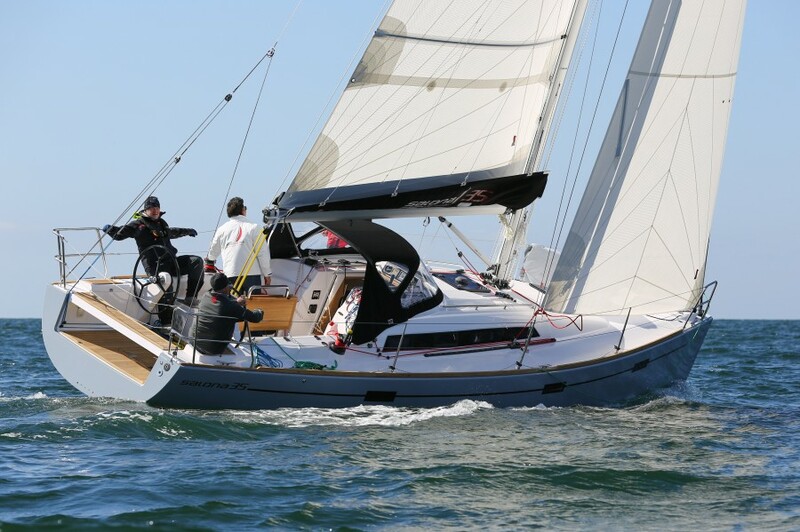 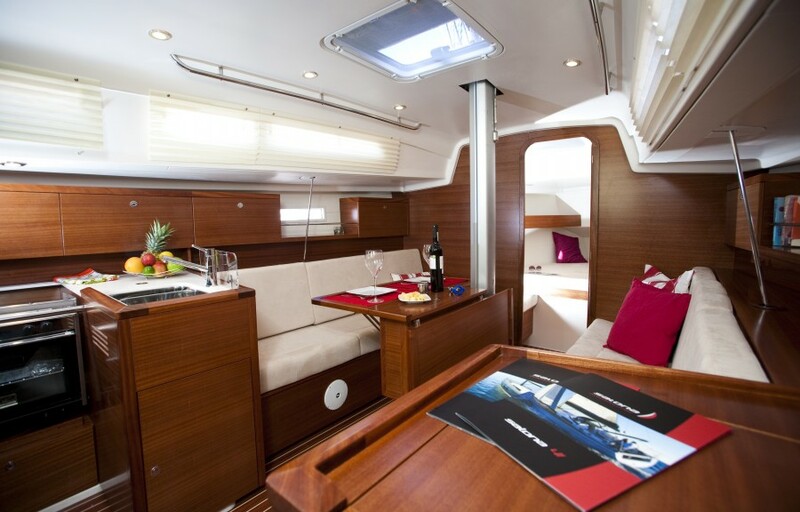 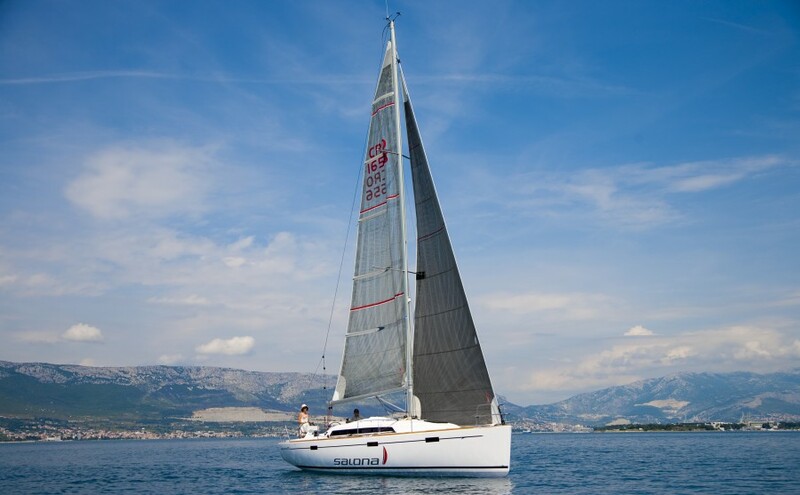 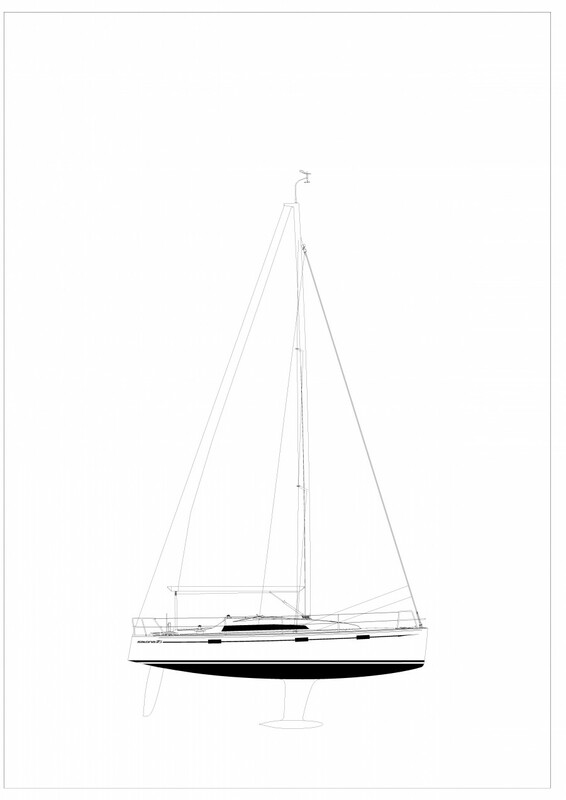 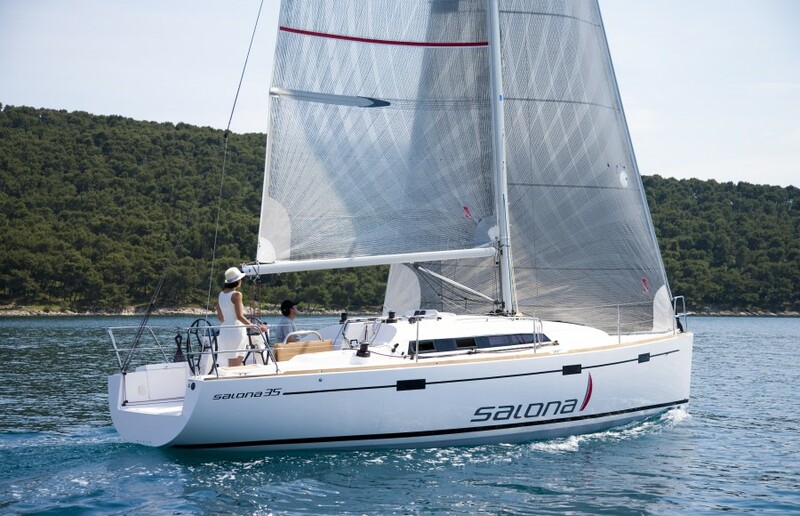 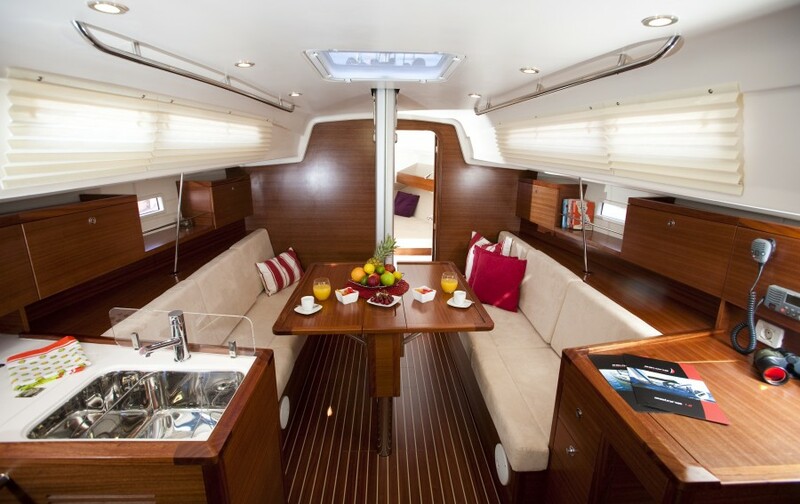 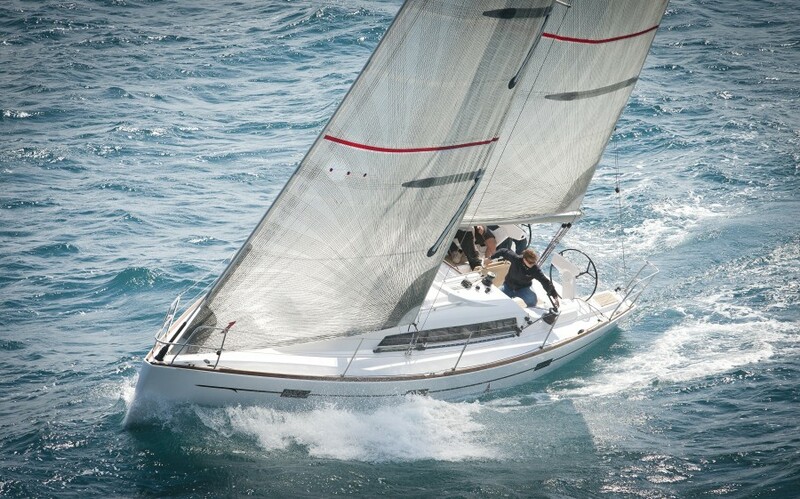 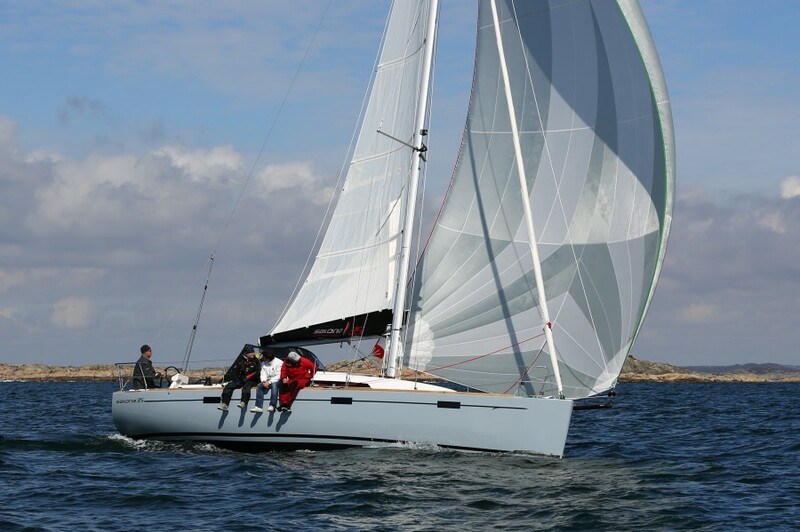 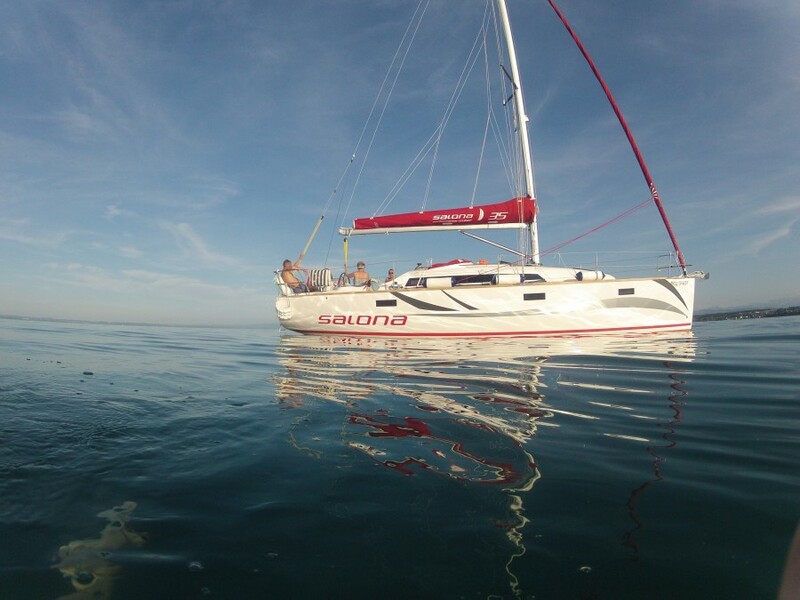 The Salona 35 is designed by J&J Design and optimized by Jason Ker. 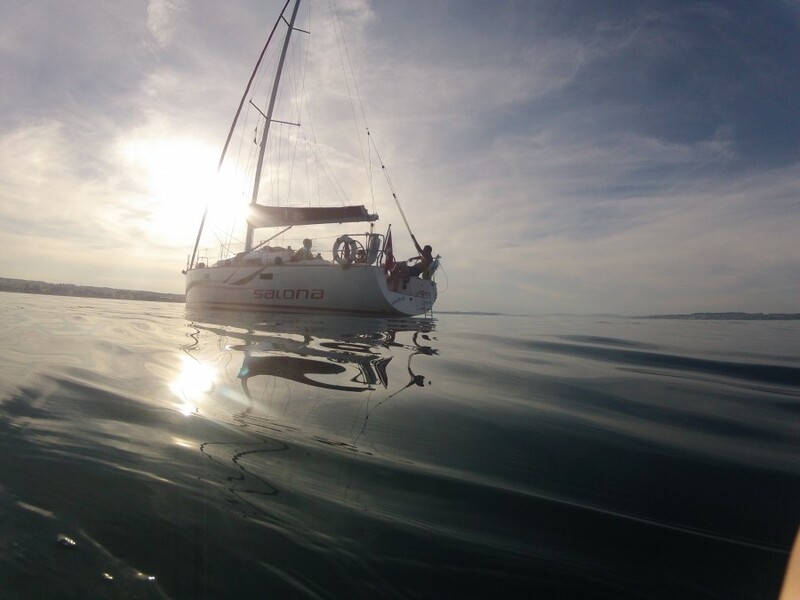 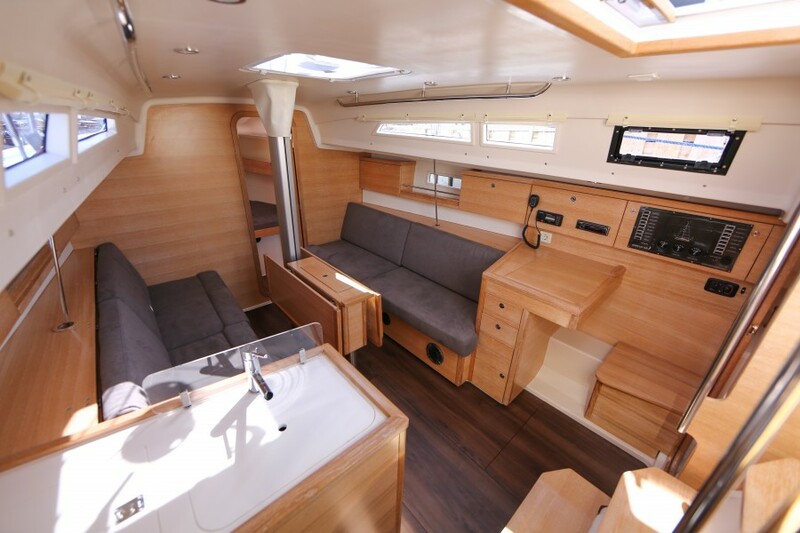 The stern offers a thoroughly practical cockpit comfortable for cruising and functional for racing. 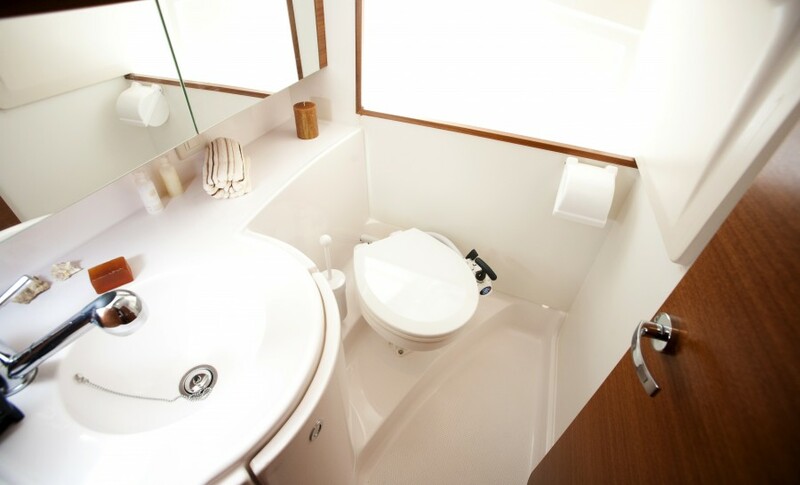 It also features an easily convertible open to closed transom. 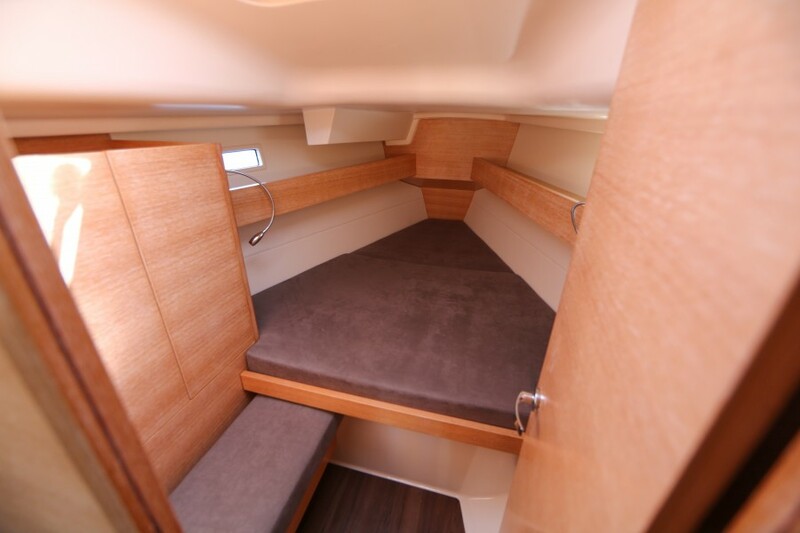 Two spacious lockers with an additional dedicated locker for two gas bottles, as well as two standard carbon fiber steering wheels and high - end sailing gear all make single handed sailing easier. 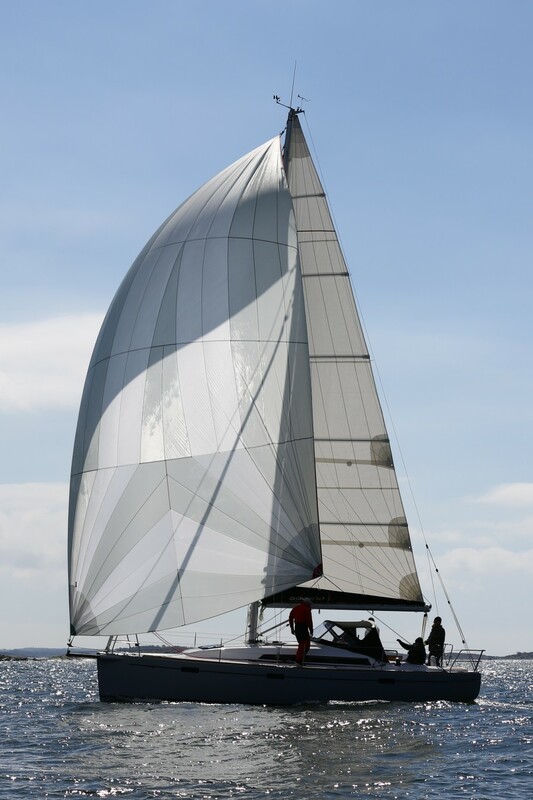 It comes standard with a two wheels system, and cascade backstay that can ensure simple and accurate rig tuning. 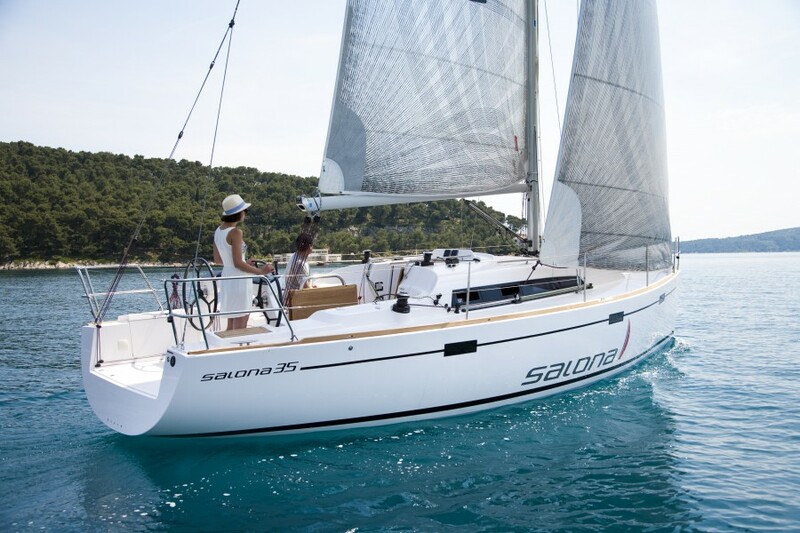 The S35’s deep rudder is designed for optimum “grip” and maximum “feel,” offering responsive and reliable handling across all sea conditions and points of sail. 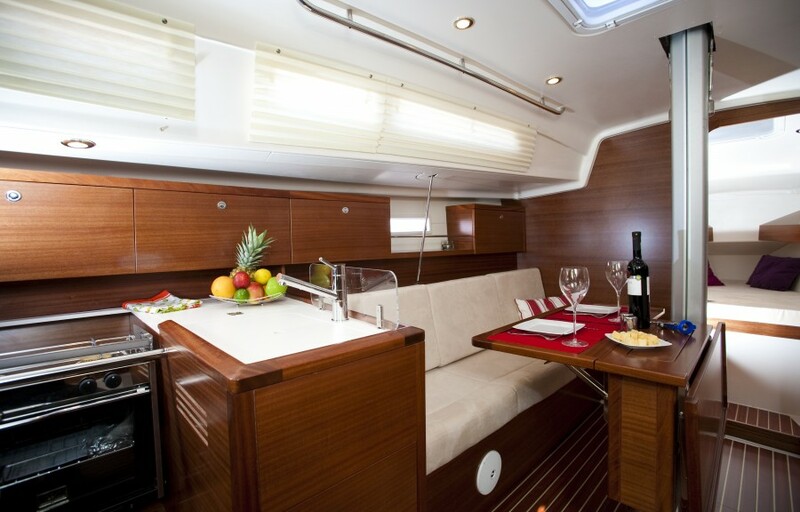 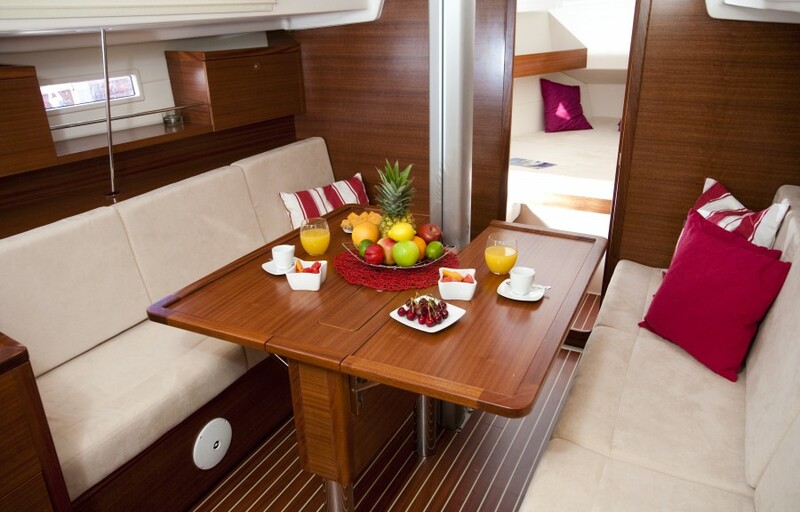 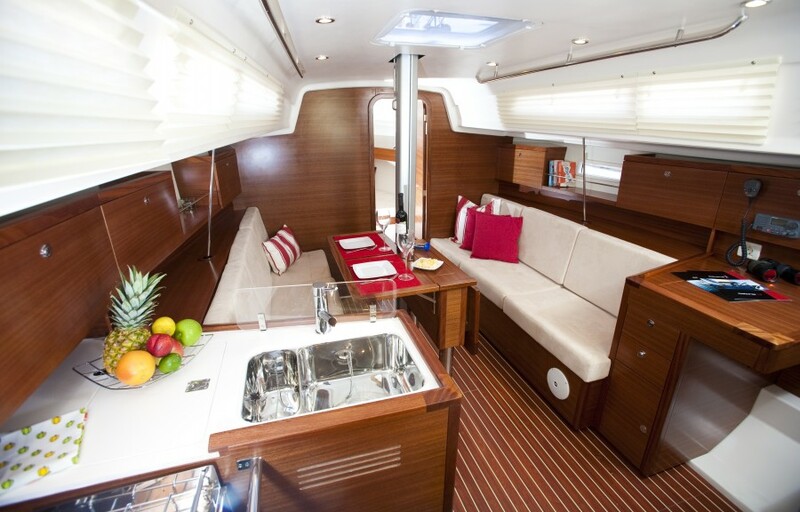 A teak dinette table appropriate for cruising can be easily removed for a race and then just as easily replaced. 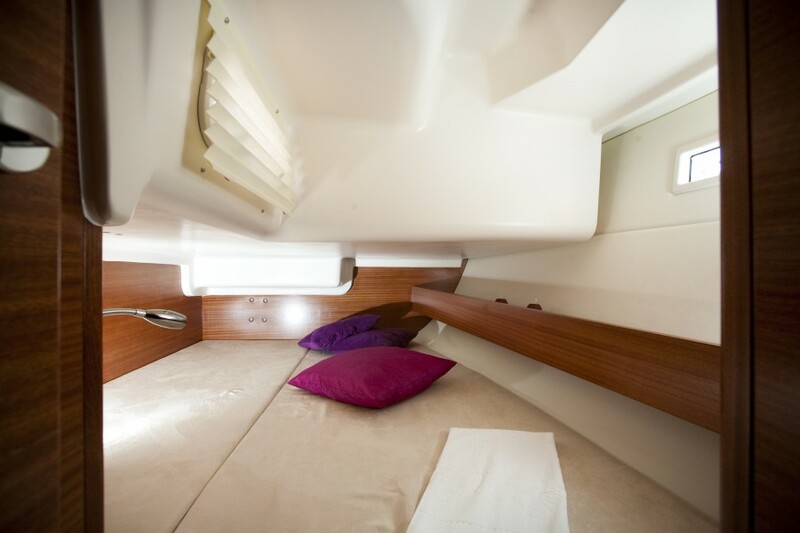 The S35 features the ideal accommodations for family to stay overnight comfortably during leisure trips or for the crew to use during regattas. 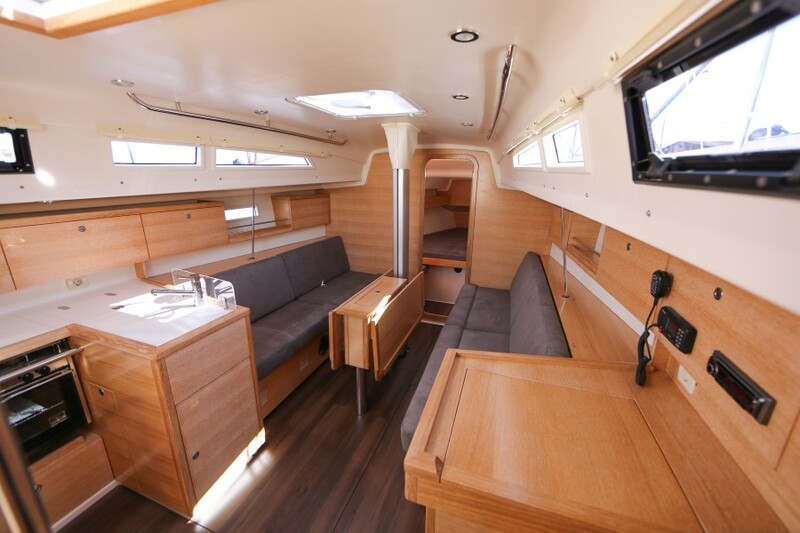 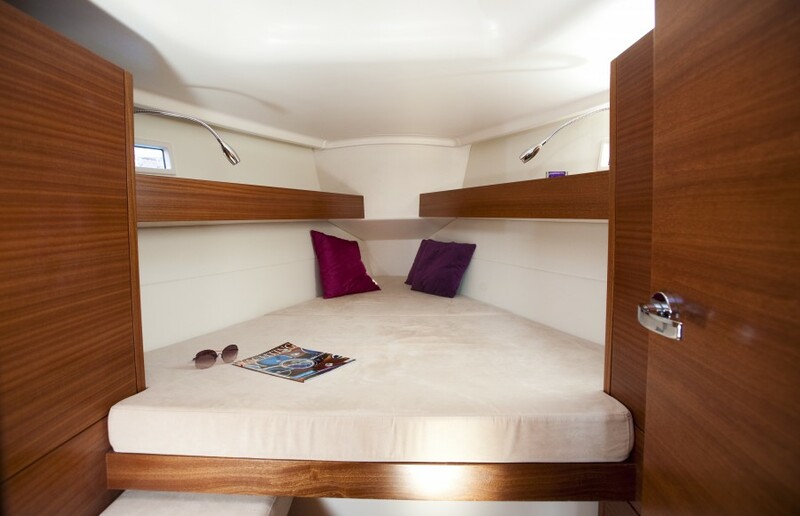 Standard interior is a two cabin version with spacious head and large navigation table, functional galley and folding bunk beds in the salon (optional).